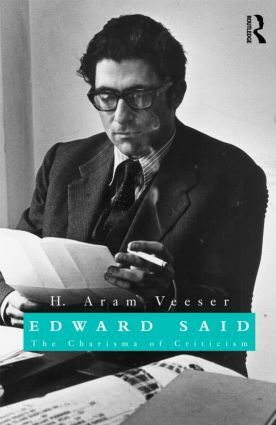 This insightful critical biography shows us an Edward Said we did not know. H. Aram Veeser brings forth not the Said of tabloid culture, or Said the remote philosopher, but the actual man, embedded in the politics of the Middle East but soaked in the values of the West and struggling to advance the best European ideas. Veeser shows the organic ties connecting his life, politics, and criticism. Drawing on what he learned over 35 years as Said's student and skeptical admirer, Veeser uses never-before-published interviews, debate transcripts, and photographs to discover a Said who had few inhibitions and loathed conventional routine. He stood for originality, loved unique ideas, wore marvelous clothes, and fought with molten fury. For twenty years he embraced and rejected, at the same time, not only the West, but also literary theory and the PLO. At last, his disgust with business-as-usual politics and criticism marooned him on the sidelines of both. The candid tale of Said's rise from elite academic precincts to the world stage transforms not only our understanding of Said—the man and the myth—but also our perception of how intellectuals can make their way in the world. H. Aram Veeser is Associate Professor at The City College of New York. He is coauthor of Painting Between the Lines (2001), and editor of The New Historicism (1989), The New Historicism Reader (1994), Confessions of the Critics (1996), and The Stanley Fish Reader (1999). Besides his work as a writer and critic, Veeser pursues outside interests that range from drawing and painting to motorcycling and competitive rowing.